« Missouri Rankings Update: Show-Me… the wrestlers of the former NWL! 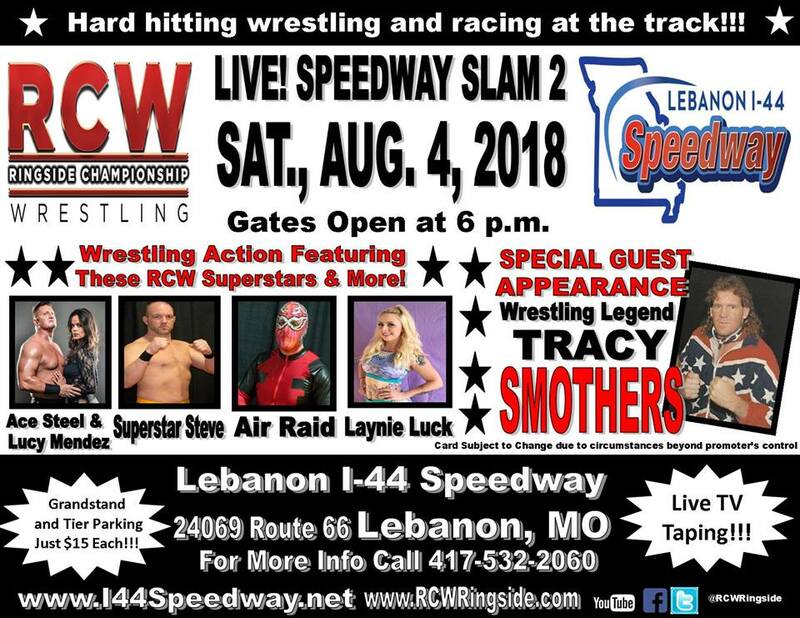 Ringside Championship Wrestling returns to Lebanon I-44 Speedway with the second annual RCW Speedway Slam! It will be a night of pro wrestling and exciting racing at the track. Grandstand and Tier Parking tickets are $15 each and will include both events. Wrestling matches will be held in the Grandstand area. Special Appearance by wrestling legend Tracy Smothers! Your chance to meet the “Wild Eyed Southern Boy” who will have merchandise and photo opportunities available for purchase! He’s a former WWE, WCW, ECW, Smoky Mountain, USWA and independent wrestling superstar. Don’t miss your chance to meet him! New RCW Heavyweight Champion “Superstar” Stephen Fender will be in action, defending his title against rival Kyle Roberts! Camron Bra’Nae battles Laynie Luck in a contest between two of the top female superstars in pro wrestling today! The high flying Air Raid returns to face ACE STEEL and LUCY Mendez. 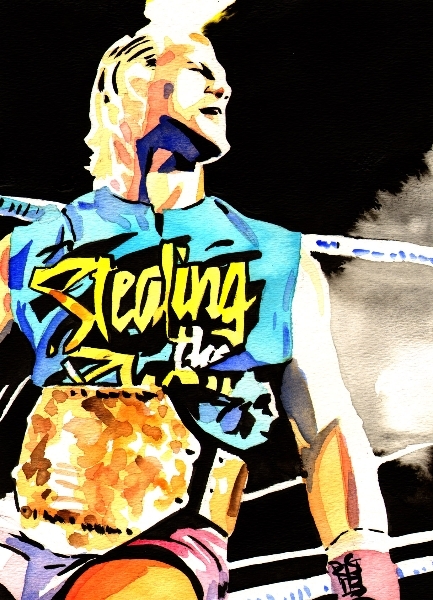 Can the masked man hold off the attack of two of wrestling’s most dangerous individuals? Find out Aug. 4th! This entry was posted on July 24, 2018 at 8:32 pm	and is filed under Uncategorized. You can follow any responses to this entry through the RSS 2.0 feed. You can leave a response, or trackback from your own site.